I often feel angry at the craziness I see in the world. That emotion can often be transformed into a motivator to work for positive change. But sometimes I feel dismay on another level. This can come when seeing repeated errors, and patterns of hugely costly ignorance around me. Or it can be more simple, such as when understanding "back office" procedures takes away beauty and magic. I've worked teaching Service Excellence, and enjoy studying commercial kitchens and hospitality in restaurants, hotels, inns, etc. But as a visitor it can sometimes all look flat when the environment is contrived & artificial, or executed poorly. I also work in Place Marketing. I've much experience with Japan & Korea, but also have lived and worked around Europe, with continuing interactions in Australia, the USA, Hawaii, India & elsewhere. Placemaking is a fascinating process. I know of thousands of local success stories and have visited many hundreds of iconic projects in over 80 countries around the world. In teaching MBA programmes, we urge our students to Redesign Your Life. Ultimately, this knowledge translates also to my personal life: choosing where and how to live. Why Live Where? 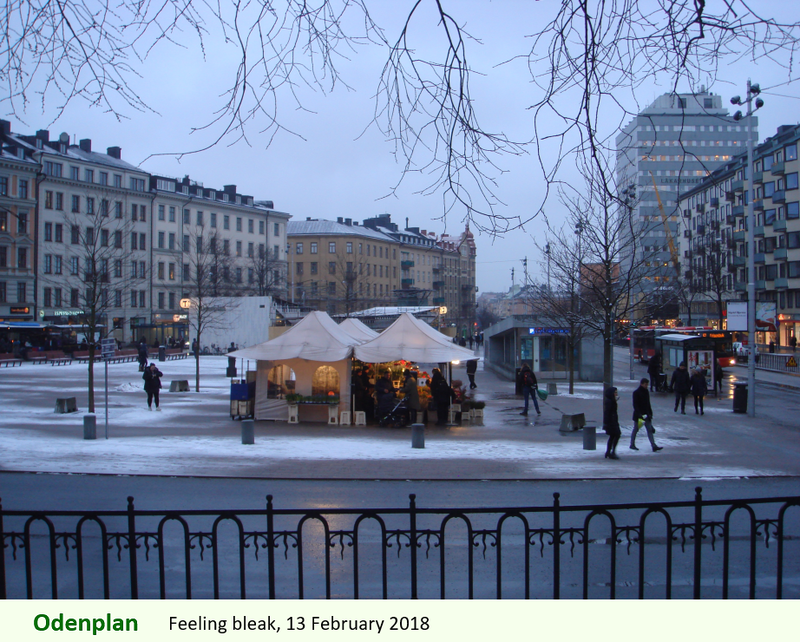 I live in central Stockholm, Sweden, in a neighborhood with excellent walkability. We've not owned a car since 1995. Our home is comfortable and made with good materials. The community is prosperous, anti-militarist, with excellent social services. We live next to Odenplan. Ten years ago it was a reasonably beautiful city square with big trees, a water feature, and small shops. Then the regional government tore it up for underground construction lasting some five years. Now it is rebuilt as cold, slippery and windswept, not a friendly place at all. That's sad, because many friends and acquaintances live nearby (including another very top placemaking expert). Of course we can deliberately meet together in commercial shops, but so much better to organically cross paths in the local piazza and have an informal chat. Perhaps one day Odenplan will get better... it's still under adjustment. In sum, both fun & frustration. Continuing challenges demand renewed energies. Pressure Makes Diamonds.